When we developed the proof-of-concept for the game two years ago we aimed to a painterly look, with dark outlines and detailed textures. Since we’re remaking everything from scratch, we are also re-thinking the art direction. These are the characters we developed two years ago as proof of concept. 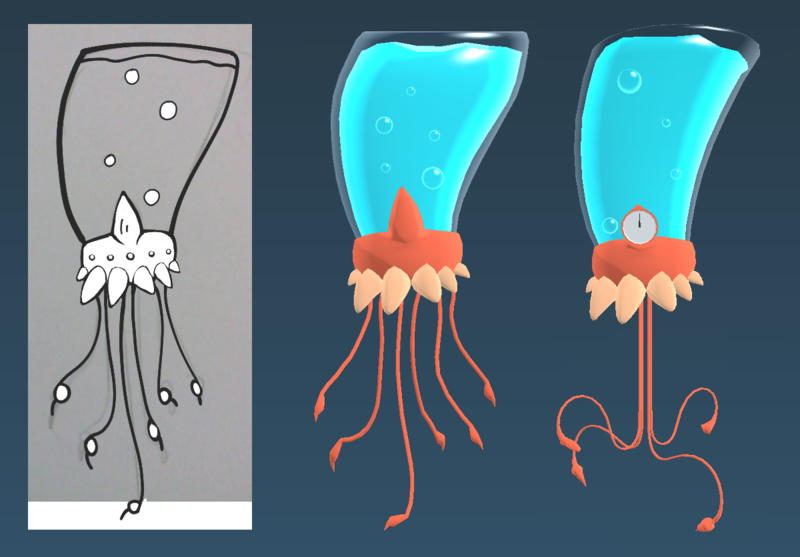 We want to move towards a cleaner, cartoonish style, although we will always love this guys. 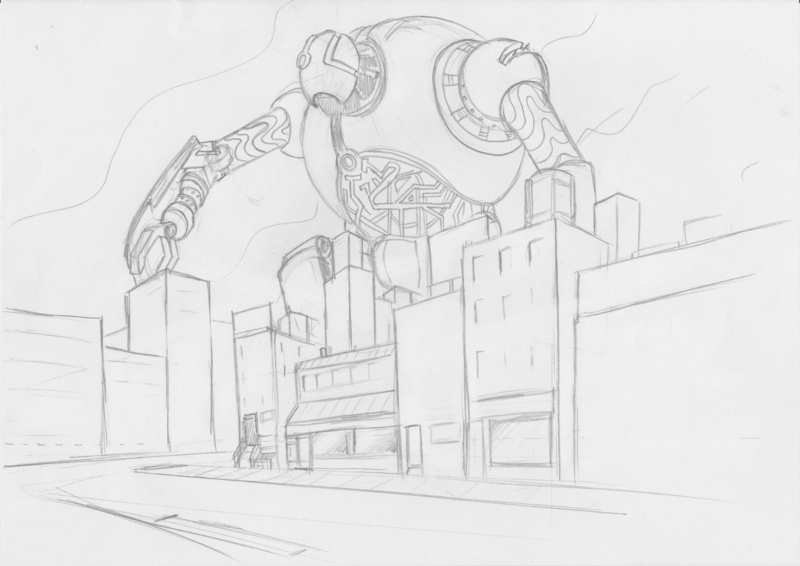 Two years ago we were talking about the big frikking robot for weeks, and we discussed about how until we discover each one imagined it differently and Guido made a rough sketch that surprised us all: it was deam big. 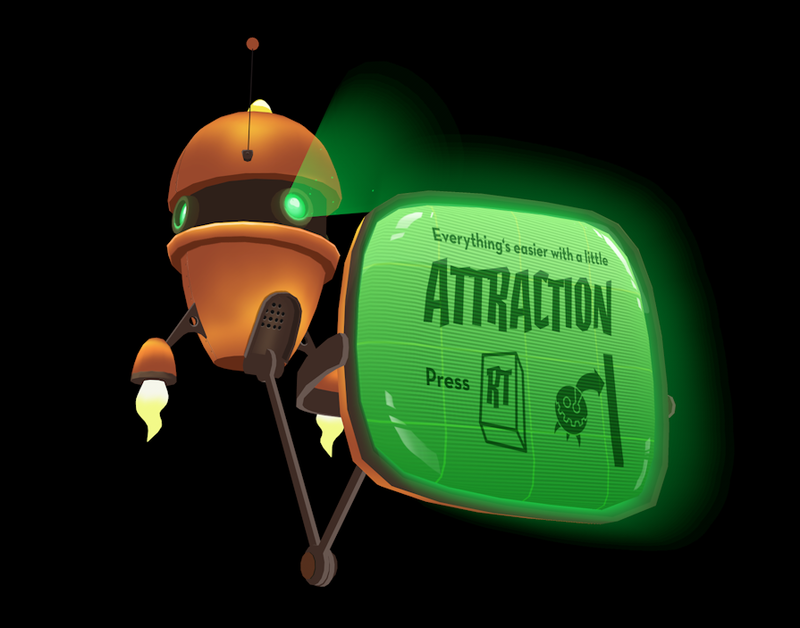 If we think of robot invasion some things that come to our minds are classic sci-fi movies, space race, rockets and streamlined design. We’re soaking up all those references to build upon, looking for our own style. 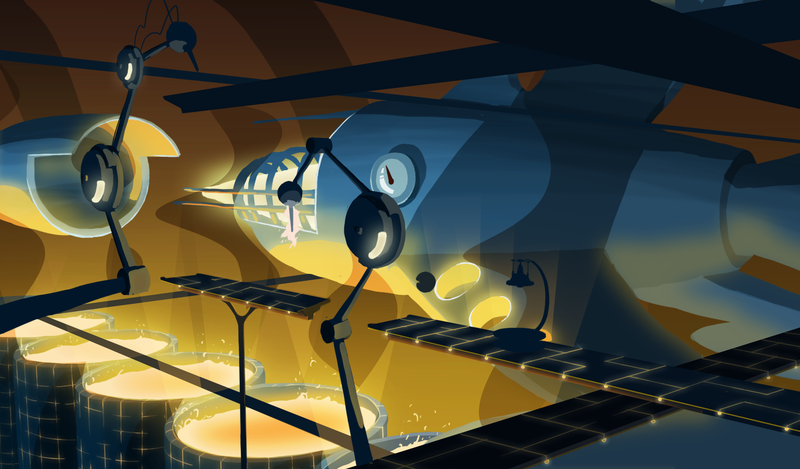 The world of Magnet-O-Bro is set in 50ies/60ies (Retro) Futurism. Round Shapes and simple surfaces domiate the sets. Technical details seem like somebody imagined the future ages ago. This is combined with extraterrestrial elements. Also, for conveying the enormous size of the robot, we need reference objects where people can relate to. So, even naturally small elements like screws, cables, computer monitors should appear very big in the level, compared to the Bro-bots. For conveing a cartoony look of the world, we use nearly flat-shaded models. Only one hard shadow on objects and a very subtile rim-light. Textures consists mostly of one-color surfaces, with a little gradient and subtile brush-strokes. Lines/Outlines are used in an minmal amout to add little detail. Hard Highlights are painted directly into the texture. 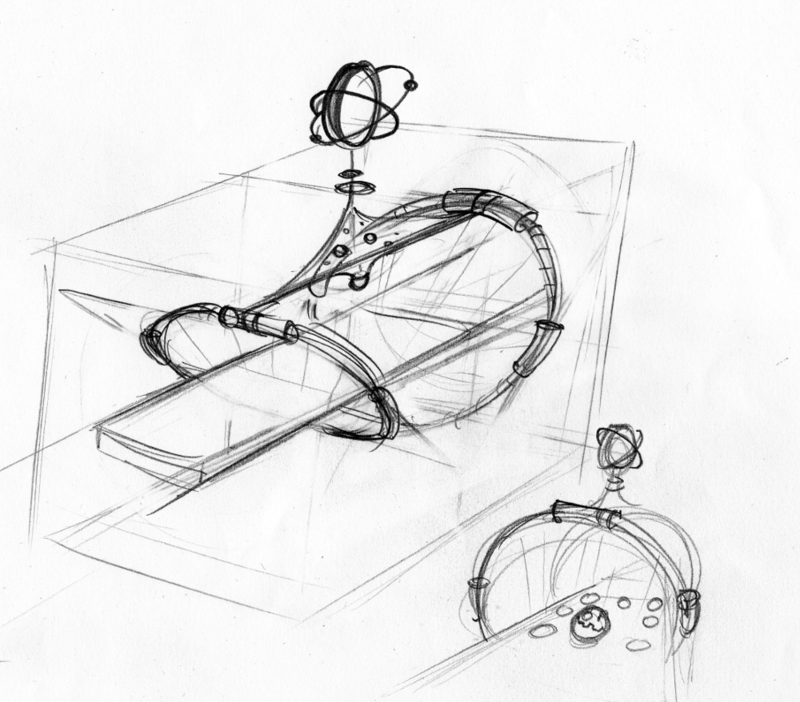 Sketches of the modular approach for level design. 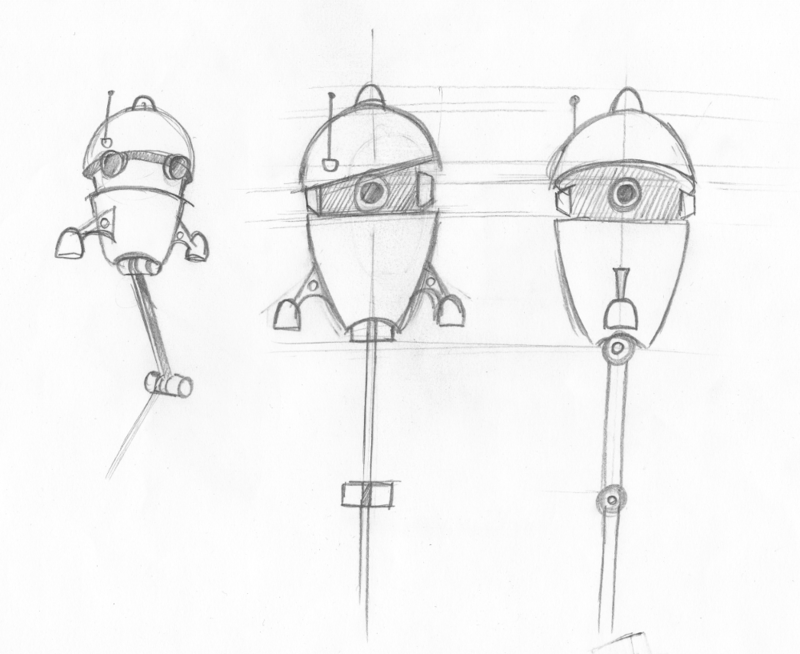 Sketches of another NPC robot. This will hold an information screen during gameplay. Sketch for checkpoints or cool triggers. In this concept Guido tried to run away from anthropomorphism. They are aliens after all. 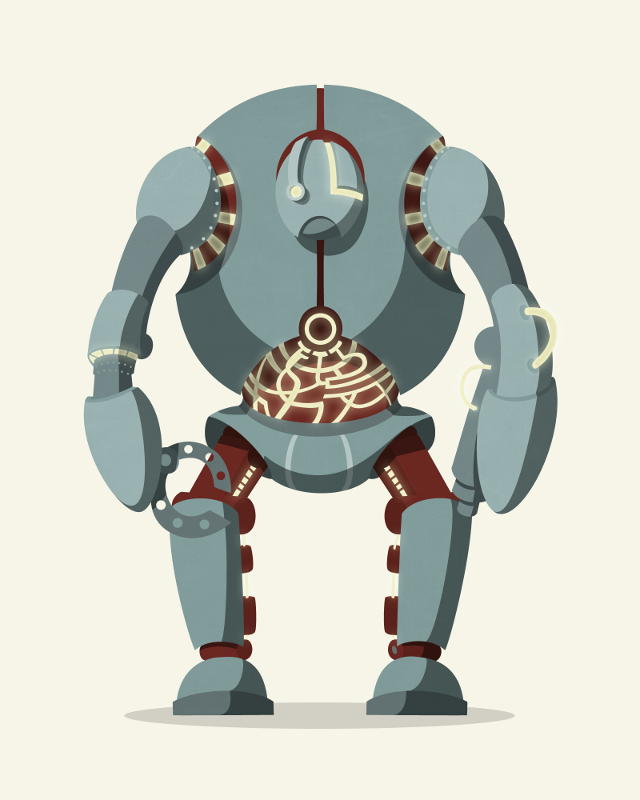 Even though it’s anthropomorphic, this Big Robot concept art shows the color mood and how the level could fit inside it’s limbs. 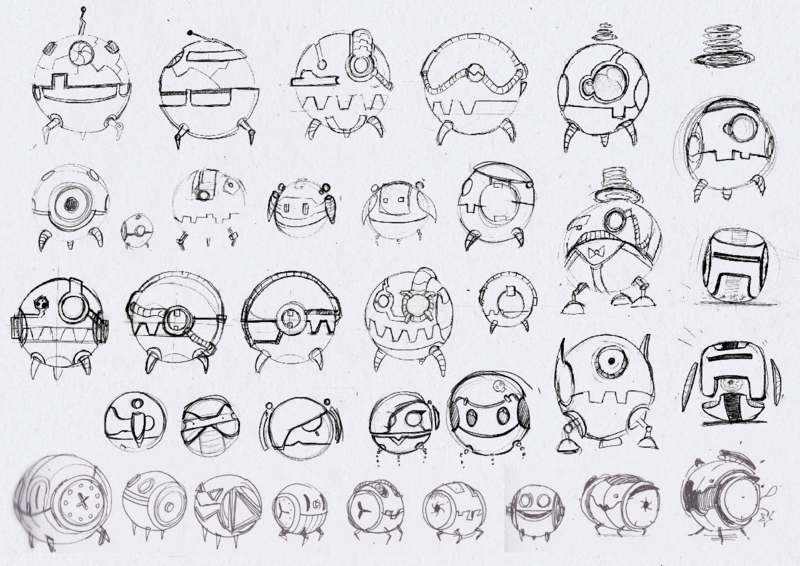 Here we tested a more organic look for NPCs robots. We also tested some shading techniques. 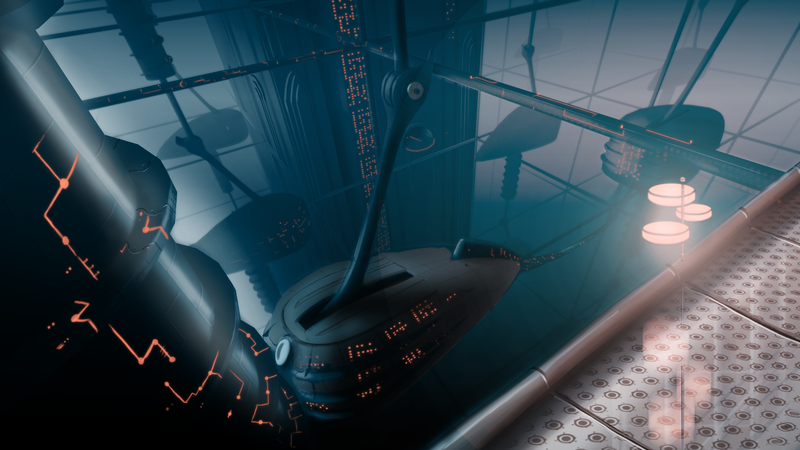 This concept art from Guido demostrates how we want to play with depth and the overwhelming feeling of being inside the Big Robot. 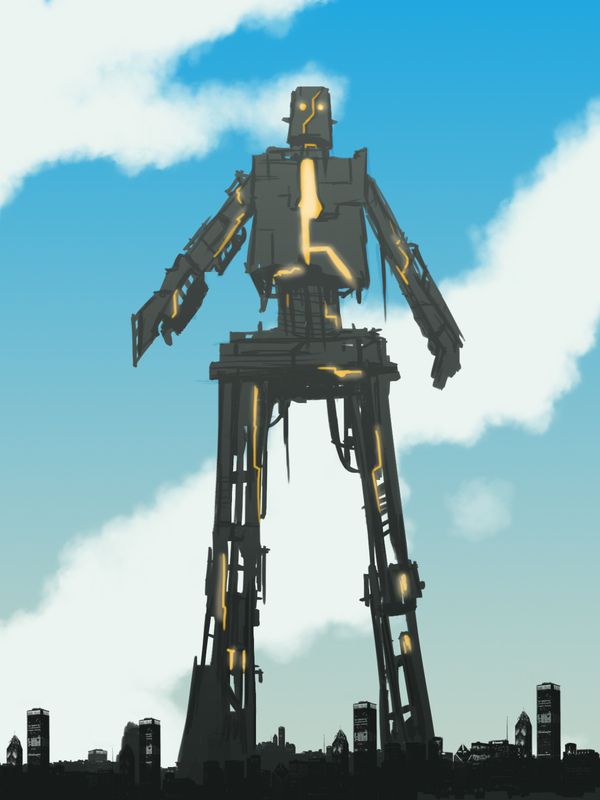 The Big Robot is actually a warship with a rocket assembly line capable of erase humanity. This concept from Volker shows also the kind of shading we are looking for. In this NPC robot Volker tested shading techniques. This NPC robot holds information screens. This render visualizes the shading we are aiming for. 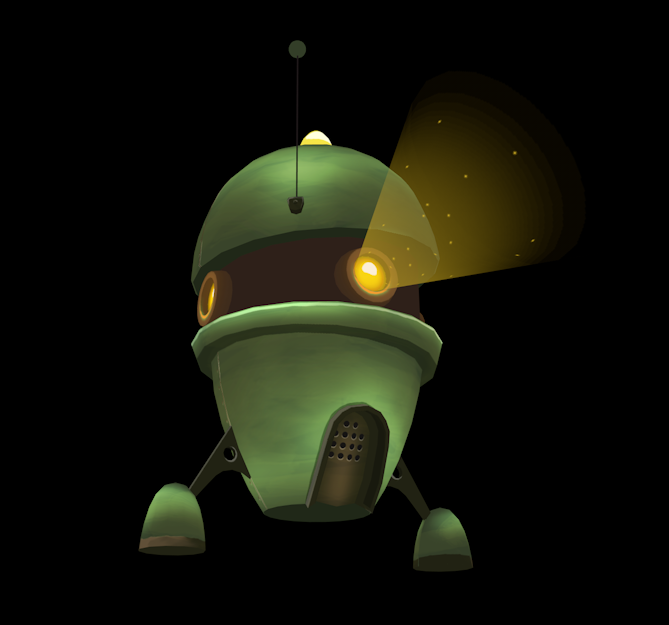 We’re working hard on creating a deep atmosphere and compeiling characters to create the universe of Magnet-O-Bro. There’s a lot to do so, back to work you bonesack earthling!! 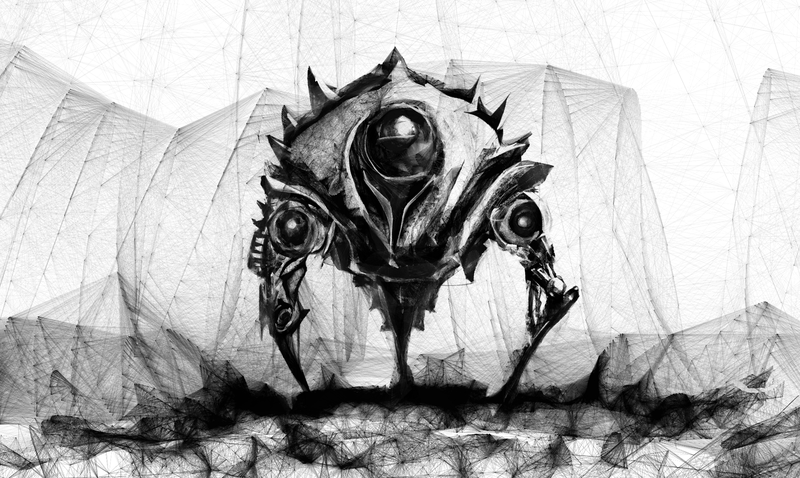 Tagged art, cologne, concept, development, game, Magnet-O-Bro, projects, shading, sketches.